To celebrate the new Sanphire website and the creative challenges our entrepreneurial clients bring us, we’re re-visiting some of our recent designs – starting off with a look back at a major development last year for Ridgeway, http://www.ridgeway-online.com/, a company who North and South of the border in Ireland, have been at the leading edge of construction supply since 1969. 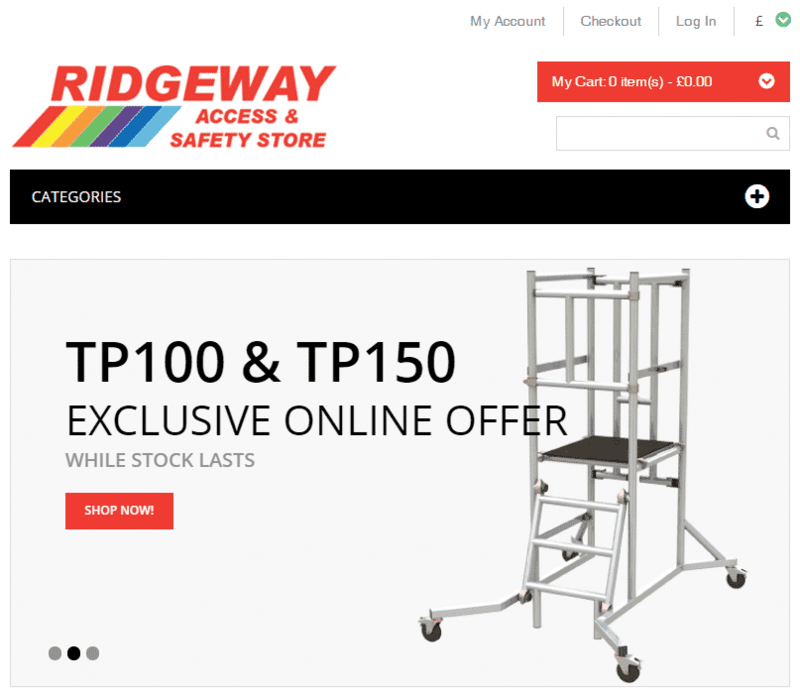 Moving with the times Ridgeway launched their Access and Safety e-commerce store in autumn 2018 featuring their comprehensive range of alloy towers and accessories. Sanphire provided logo design, a new website https://www.accessandsafetystore.com/, and e-commerce design and implementation. 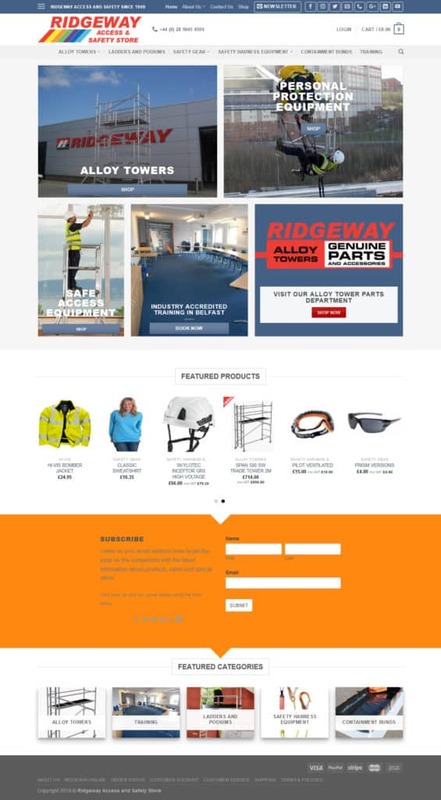 We look forward to continuing to work with Ridgeway to further develop the ecommerce store in 2019.